Type 2 fun enthusiast. At my happiest getting cold, wet and scared, whether that’s dragging myself - lungs screaming - up a mountain with skis on my back, or staring - literally screaming - down the gun barrel into another crashing wave. A firm believer that n+1 = the perfect amount of toys. I also like whisky. Warm water and powerful Atlantic waves just a short flight from most European cities help to make Morocco one of the top surf destinations in the Northern Hemisphere winter. 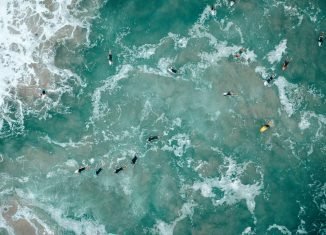 Here are 5 reasons why you should go surf there! 6 useful travel tips for a Central American surf trip from LUEX's collective surf travel experts, designed to make your trip as smooth as possible. Want to know what to eat or how to ask where the surf is? Then read on! Norway is the home of skitouring on so many levels, but with so much variety and so many options on the table it can be hard to choose where to go! This article gives an overview of our favourite spots for backcountry skiing in Norway. Japan is famous for its incredible powder, but it's a pretty weird place with odd rules and etiquette, and can be confusing to travel around on your first trip. Here are a few tips to make things a little easier on your visit. There are surf camps all over the world, with various standards of accommodation, different levels of surf tuition or guiding, and with social vibes ranging from mellow to full on 'party like it's 1989.' Just how do you decide which surf camp is best for you? It's a big world out there, and there's so much to see and ski beyond the normal resorts in the Alps and North America! This article explores some of the weirdest and most wonderful cat skiing destinations around the world. If you want to ski untracked no competition powder without shelling out for a helicopter or sweating on touring skis, cat skiing could be just what you're looking for! This guide will walk you through everything you should consider when planning your trip. Star Surf Camps Upgrade French and Spanish Camps! Star Surf Camps are one of the original and best surf camps out there, and with new accommodation and sustainability upgrades to their French and Spanish camps, the best just got even better! 26-year-old American Ryan Boarman was attacked by a shark at Balian, a river mouth surf spot in Western Bali, with severe injuries to his arm. The latest reports are that he is recovering well following surgery. Bali is simply a paradise for surfers - everyone should go at least once in their lives! The living is good and the waves are better, so here are our top tips to help you make the most of your first Bali surf trip.